In my world, there is always so much rushing around in the morning and the past few years, I have gone to the extreme to make sure that I do as little as possible in the morning so that I can spend more time pressing the snooze button. 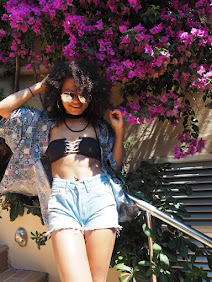 My alarm goes off at 7am, which means that I am still in bed cuddling Tom at 7.30am and from there rushing around like a mad woman to clean my teeth, condition my curls, wash my face and pick an outfit that doesn’t look that bad. This morning, while I was on the crowded peak time 8.01 train, I realised once again I’ve skipped breakfast and as a vegan, I’m sure many of you will know that finding a decent on-the-go morning meal is really difficult, especially if you’re tight like me and don’t see the point in spending £10+ before you’ve even got to your destination. 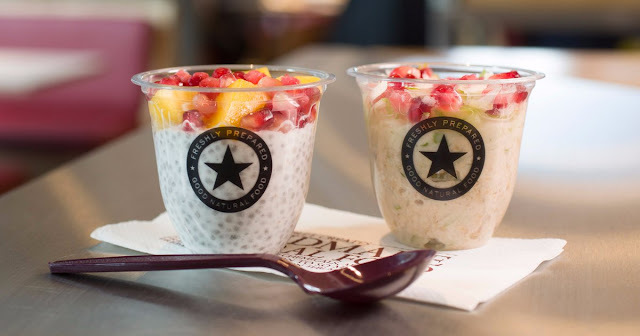 That’s why I was so happy to see that Pret have once again smashed it by bringing out these cute little vegan breakfast pots and the range has so much choice you would think you’re in a Shoreditch style hipster vegan cafe. OK, not quiteeeee but you will be so impressed with the range. This morning between the tube and the DLR, I managed to stop off at my nearest Pret where I managed to pick up the new Mango Chia Pot and my favourite soya Chai Latte. I really rate Pret for listening to feedback and for moving with the times and over the past year of being a Pret lover, I have noticed more and more options for vegans and vegetarians which seems to be improved upon daily and we now have the Veggie Pret in Soho which is here to stay! Lucky us! Let me know if you beat me to it with the Apple and Pomegranate Overnight Oats pot and tell me how it is or what some of your favourites are that I need to try!